Home > Blog > April Special Guest Webinars! 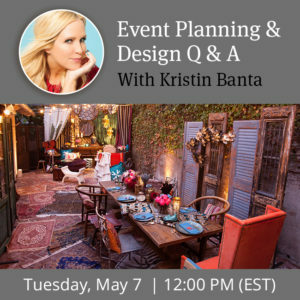 We have two special guest webinars during the month of April that you surely do not want to miss! Many of today’s alarming headlines are instilling fear and anxiety with event professionals. Will the next unfortunate breach of security or fatal episode occur at your next event, or onsite at your venue? Are you fully prepared to take the proper security measures and empower your personnel? From attendees, front-line staff and volunteers to venue workers, each can play a role in being your event’s ‘eyes and ears’ if you have an advance emergency preparedness plan and a communications hierarchy. 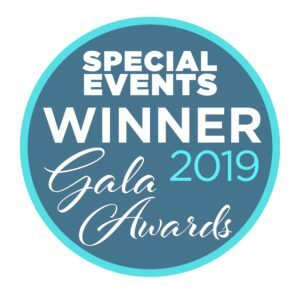 Join Dahlia El Gazzar’s interview with Mark Herrera, Director of Education with the IAVM [International Association of Venue Managers]. Mark’s unique background as a former law enforcement officer and a current public facilities committee member with the National Fire Protection Association and Department of Homeland Security [DHS] ensures that you’ll learn the all the steps necessary to prioritize your event security. Having a safe and security event is a top #eventprofs priority. Invest one hour and learn the best practices to craft your updated emergency preparedness plan for all your event personnel. Here’s your chance to learn more about AllSeated and the future event technology with an opportunity to ask questions in this webinar co-hosted by AllSeated’s founders Sandy Hammer and Daniel Anisman. Learn where the future of event technology is headed over the next 5 years. Gain insight into the latest AllSeated product updates and upcoming innovations. Q & A time with Sandy and Daniel! This is your chance to ask as many questions as you would like and have them answered live during the webinar! 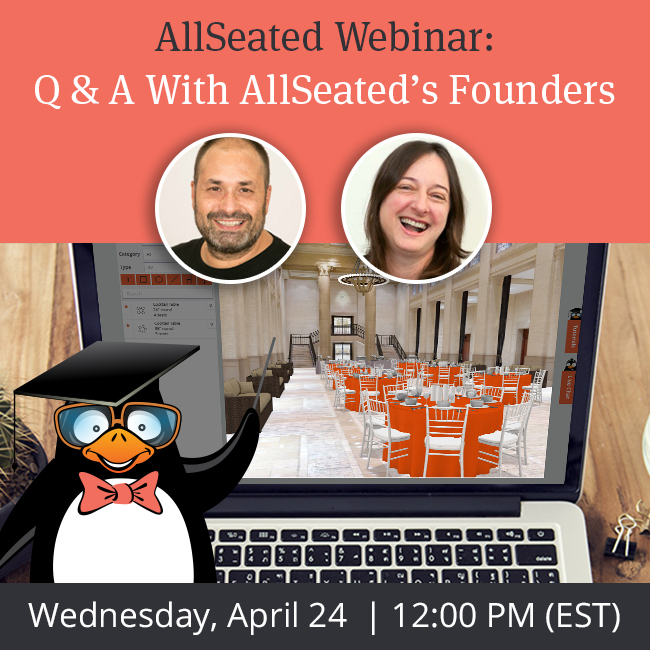 Send questions in advance to Emily@allseated.com. Visit the Webinars section of our website to stay up to date on all webinar classes.